Sarah Brent, DDS, is pleased to be able to offer beautiful smiles to her neighbors in Fairway, KS, and the surrounding communities. While working at another office further from home, Dr. Brent discovered a unique opportunity to build a new building and practice in her own neighborhood of Fairway, KS. So KC Family Dental was created! She looks forward to sharing her gentle approach and years of advanced training with her community. Dr. Brent is a second-generation dentist. She worked in her father’s office before choosing her career path and earning her dental degree from the University of Missouri-Kansas City School of Dentistry. Prior to dental school, she received dual bachelor’s degrees with honors at Southern Methodist University. 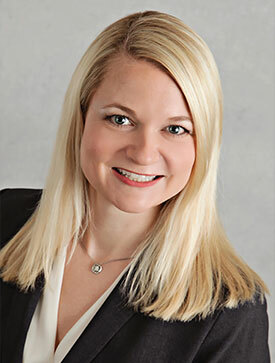 She is a member of the American Dental Association, Kansas Dental Association, Missouri Dental Association, and Greater Kansas City Dental Association. Dr. Brent has dedicated herself to ongoing education in a wide range of dental disciplines. She is a graduate of the Garg Implant Continuum. Additional postgraduate education includes the Pinhole® Surgical Technique for minimally invasive treatment of gum recession. When needed, she can offer full mouth reconstruction for complex cases. With training in Invisalign™ clear aligners, cosmetic dentistry, pediatric dentistry, and more, Dr. Brent is able to treat your whole family right here under one roof. Her commitment to lifelong education ensures the highest level of care, both today and tomorrow. Dr. Brent and her husband Jeff have two beautiful sons, and in her spare time she enjoys spending time with her family, gardening, cooking, reading, and traveling. Dr. Brent is excited to meet you and discuss your dental needs. Schedule online or call our office today at (913) 220-2209 to take the first step toward your healthiest smile.